The Youth First Initiative approached Balestra Media about producing a video for a national audience that shows young people at the helm of the effort to close youth prisons across the country. The advocates featured in the video show that youth are at the forefront of the dialogue and organizing, resulting in the success of campaigns to invest in their communities. Youth Lead the Way: A Call for Community over Incarceration was produced by Balestra Media for Youth First, with direction from Andy Stepanian and Jeffrey Wirth, storyboarding from Christina DiPasquale and Liz Ryan, and coloring by Raul Zahir De Leon. 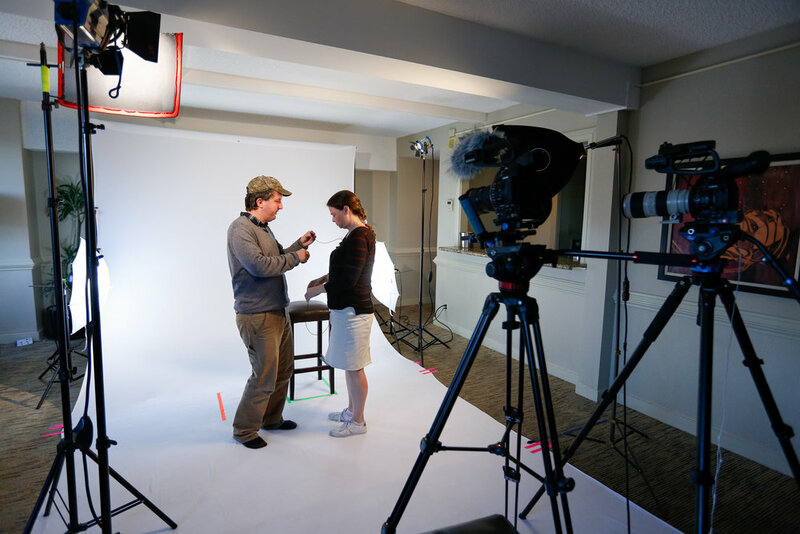 In the process of making this short film, Balestra conducted 21 interviews with youth and adults leading juvenile justice reform efforts and accompanied young leaders to community-based programs providing alternatives to incarceration. When Property of the People (PoTP) came to Balestra Media, they were already getting tremendous media coverage for exposing and cataloging Donald Trump’s violations of the US Constitution's emoluments clause for a small, remarkably scrappy shop of FOIA litigants and experts. But, with only a simple webpage that could no longer accommodate their growing body of work, the organization was often misidentified and missed opportunities to share their resources with the public. Given their current and future needs, including ongoing litigation and almost weekly court-ordered government agency document productions, Balestra Media jumped in to provide PoTP with a distinct brand identity, content management and publishing solutions for the growing trove of documents, and a new website where visitors can search, filter, and download information obtained through PoTP’s FOIA litigation. With project management from Courtney Holsworth; creative direction and media strategy from Andy Stepanian; brand identity from Anthony Carlucci; and development from our partners at Creating Digital; Balestra Media oversaw the launch of PropertyOfThePeople.org in July 2018. Since its launch, the site provided source documentation for hundreds of top-tier media reports. When we began the branding process with Property of the People, we asked them to supply us points of inspiration for the aesthetic they hoped would envelop the brand. PoTP came back with three leads; first, they wanted to straddle the line between punk and academia; second, they wanted to pay homage to the seminal transparency magazine CounterSpy which was in print from 1973-1984; and third, they wanted their identity to communicate their FOIA and transparency work directly. After several weeks of research and dozens of iterations, Balestra Media helped PoTP find their brand mark, a brutalist sun icon with rays illuminating a dog-eared page. Building off of the brand mark, the typographic elements in the identity remained thoughtful to both PoTP’s work and to the look of the documents they obtained from government agencies. To capture the spirit of CounterSpy, Balestra set the PoTP word mark in Franklin Gothic, a ubiquitous 1970s typeface available at printers and sign shops everywhere during that period. Running copy and captions for PoTP documentation and web products were also set with a nod to the 1970’s CounterSpy aesthetic with body copy set in ITC Clearface and website caption copy using Letter Gothic - a typeface originally designed for the IBM Selectric, one of the first electric typewriters heavily used by US government agencies. Helping PoTP develop a publishing platform presented a unique challenge. The group had already received tens of thousands of pages of government agency documents, tens of thousands more were expected to be produced in the years ahead, and it was in the public interest to develop a user-friendly archive that could easily be searched, shared and downloaded by visitors. The solution that we created allows the group to scale up the volume of government files accessible to the public as required while simultaneously reducing the need for constant development updates. Our team harnessed the public API of a popular document hosting service and developed a front-end user experience on the PoTP website that allowed users to search by tag, the interior contents of the materials themselves via OCR, or descriptive copy - in cases where documents are hand-written and unreadable by machine. 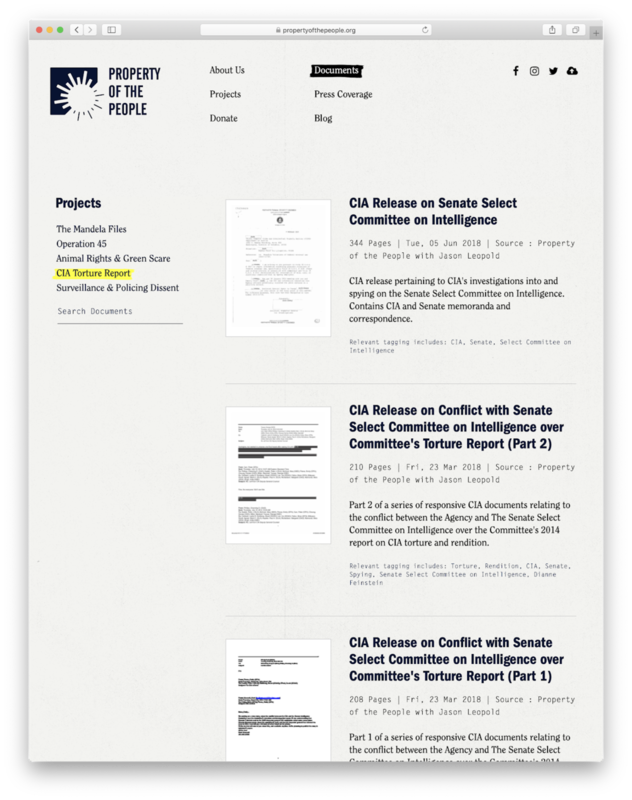 The user experience of the PropertyOfThePeople.org website was built around PoTP’s document archive, with elegant front page features, video call outs, and blog content pointing back at highlighted sections within the archive. Each step of the way the user experiences the most of what HTML5 in 2018 can offer, while still carrying the 1970’s aesthetic by way of the PoTP typography, photocopied paper textures, hand clipped FOIA redaction marks, unique monochromatic multiply layers and a mimeograph ink blue used throughout their blog. When PoTP was ready to launch their new website and brand identity, Balestra’s Andy Stepanian worked with them to create a moment of maximum exposure in the media by partnering with ProPublica to show Trump’s inappropriate spending of taxpayer dollars at his Doonbeg and Turnberry golf courses. 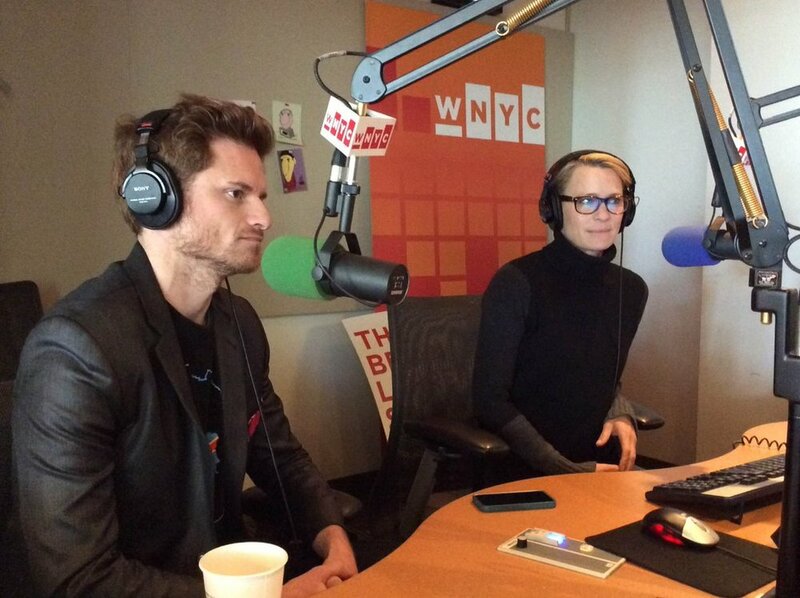 The resulting “Paying the President” feature highlighted violations of the Domestic Emoluments Clause on NPR, WNYC’s Trump Inc., and media outlets in the UK and Ireland. Since launch in July of 2018, PoTP has been mentioned over 890 times across unique stories in top-tier media, the coverage keeps coming, and no one is calling them by the wrong name anymore. The non-profit Peoria Project selected Balestra Media to create a new branding identity and design a website for their year-long research project - “A New Approach to Understanding and Communicating With American Voters” - which sought to understand how voters across the political spectrum respond to different political messages. Balestra collaborated with Knew Studio on the brand identity that conveyed key themes of the research project: resonance and interconnectivity, designed a new website for this effort, and laid out a report of key findings to be shared with stakeholders ahead of the first midterm elections since Donald Trump was elected. The Peoria Project needed to launch a clean website that featured an overview of the project, the report findings, and dozens of videos, within just a few weeks. The Balestra team quickly designed and launched a website with all of those features, meeting the group’s important deadline. To display the dozens of social media-optimized videos produced by Peoria Project and their partners, we created a clean, organized layout. Balestra Media is proud to have partnered with the Peoria Project to showcase their important research findings providing new insights into using 21st-century tools to understand, identify, and listen to audiences across our society. Ahead of the holidays, the Balestra Media team got together in Washington, D.C. from Detroit, New Jersey, and New York City to finish projects, send holiday cards and celebrate the team’s 2017 victories in a fun-filled two-day long city-wide excursion. 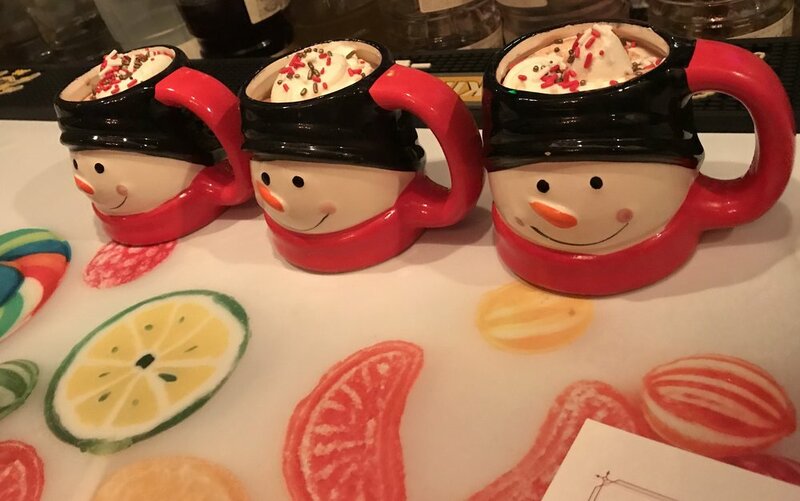 We jumped off our year-end festivities with a Middle Eastern-inspired vegan dinner at Shouk eatery in downtown D.C. and ended our night with a visit to the Miracle on 7th Street Holiday pop up bar in Shaw, where we dived into the holiday spirit in matching Christmas sweaters. We launched our second day of festivities with a team-building tennis session followed by a Hawaiian-inspired lunch at Poke Papa in Chinatown. Back at the Balestra Media We Work office, we signed holiday cards, exchanged gifts and presented awards to all of our staff. The front was dedicated to some of our inspiring projects this year. We concluded our year-end multi-day celebration with a delicious Afghan dinner at Lapis restaurant in Adams Morgan followed by a visit to the Pathway of Peace walkway surrounding the National Christmas Tree featuring the 56 state and territory trees all decorated with unique, handmade ornaments. This year was full of incredible moments of resistance and we hope that everyone has a restful holiday enjoyed with family and friends. Thank you for an amazing 2017! Balestra Media collaborated with the National Hispanic Media Coalition to re-brand their visual identity as part of the launch of a new website. Balestra developed a logomark using the Harriet type family and bold color blocks to provide a subtle elegance and straight-forward legibility, whether on viewed on the smallest device, the largest billboard or a glass trophy! In honor of NHMC’s 30 years of tireless work underscoring the important role media plays in the inclusion of Latinos and other communities of color, Balestra Media looked to their past use of a signature pastel blue and built a color pallet around the color they most used. In the new logomark large blocks of this blue colorway took the composition of volume levels also signaling NHMC’s decades of work to increase diversity on the airwaves and tenacious expansion into podcasting to deliver culturally relevant content to Pasadena-area residents. 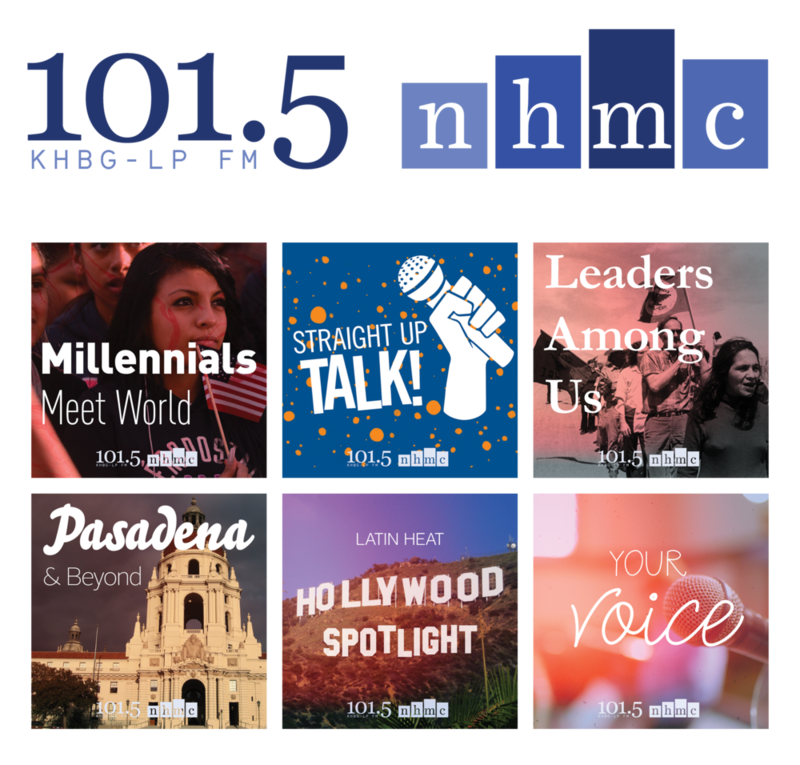 NHMC’s KHBG-LP 101.5 FM brand identity is an extension of the NHMC logomark with minimal and elegant typographic features that allow ample room for photography to tell the story behind each of the podcasts in the 101.5 FM family of programs. A week ahead of the “Unite the Right” white supremacist rally, our team headed down to Charlottesville, VA to assist the clergy and local activists with messaging, media relations, crisis communications, and spokesperson training. Balestra worked with Solidarity C’Ville, a coalition whose membership included Clergy from Congregate, Charlottesville; activists from Black Lives Matter, Charlottesville; and allies from Showing Up for Racial Justice (SURJ) Charlottesville. We produced over a dozen documents guiding reporters covering the weekend's events and staffed dozens of interviews with local activists and faith leaders. 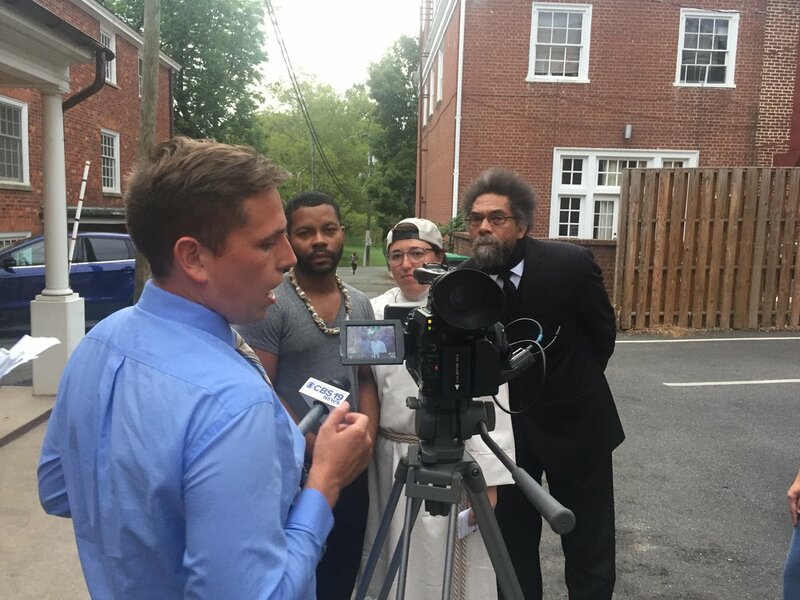 Hundreds of top-tier media outlets provided extensive coverage to the Charlottesville residents who were showing up to challenge the spectre of white supremacy that imposed itself on their small town. When tragedy struck, creative director Andy Stepanian stayed throughout the tumultuous time, late through the evening to facilitate rapid response message aggregation and reporting for the activists on the ground. Andy's constant support to the clergy and local residents was a guide for journalists who were able to tell the real stories of human impact while honoring and respecting those who were harmed. 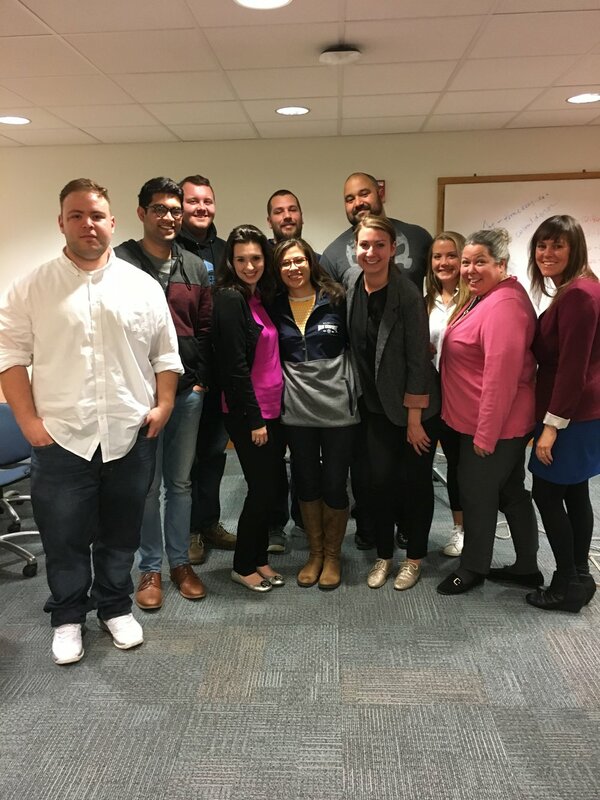 On April 28th, The Youth First Initiative convened in Washington, DC for A New Vision for Youth Justice, Imagining a World Without Youth Incarceration. The event drew together over 75 leading voices in the fight to close youth prisons for three days of organizing and trainings. Andy Stepanian of Balestra Media produced a spread of online and printed promotional materials for the event as well as a multi-cam Facebook Live broadcast of the event generating over 8,000 unique impressions. Balestra also partnered with Burning Hearts Media to provide Youth First with a pro-res video package after the event. Andy worked closely with Youth First to not only develop and produce the promotional materials and event program but also to design and produce Breaking Down the Walls, a powerful 67-page blueprint of successful state campaigns to close America’s youth prisons. Activists in attendance were provided copies of the report back to organizers in their home states, you can download a .pdf of the report HERE. Activists left the event inspired and eager to bring the shared lessons of successful campaigns back to their own states. Balestra Media is humbled to continue to support Youth First's important work. With 4 youth prison facilities being closed this year and one in early 2018, Youth First has created one of the most successful coalitions fighting for youth justice to date. The last day of class, May 5, students finished their final TV interviews! Balestra Media Goes to Good Pitch in Copenhagen! 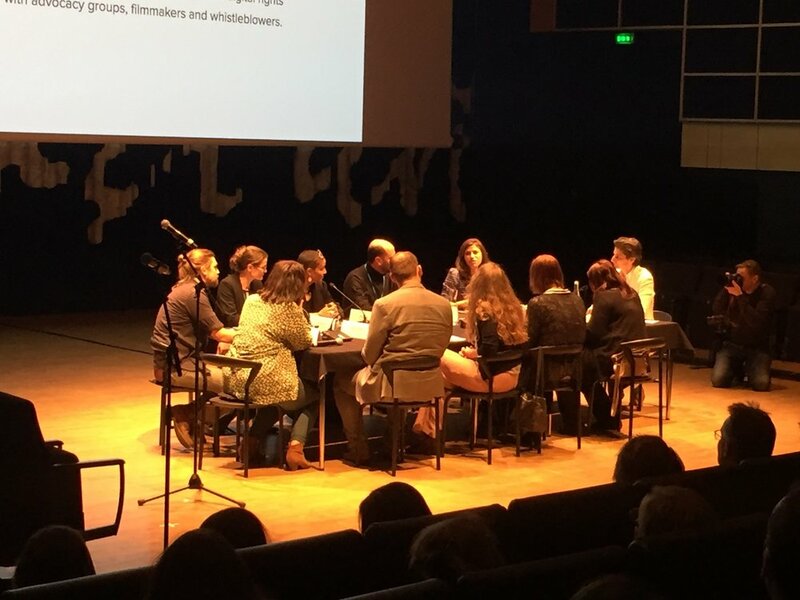 Balestra's Christina DiPasquale presented the needs of a firm client to assembled funders, filmmakers, entrepreneurs and NGO leaders at Good Pitch in Copenhagen. On, April 1, GWU hosted a summit that included women at all levels of business to share their experiences and advice with students. Balestra's Christina DiPasquale was invited to talk about why she chose to focus her communications shop on human rights issues and what challenges she has overcome as CEO. The event was moderated by Tori Hannah, director of sports marketing at Under Armour. Others panelists included: Madison Mcghee, founder of The Lemon Stand; Sara Fisher, Media Reporter at Axios; and Caryn Benisch, Communications Strategist with Rational 360. Balestra Media is humbled to have been invited to work on this short film about the efforts of the Youth First Initiative and to again team up with video partner Burning Hearts Media. Balestra’s Andy Stepanian and Burning Hearts Media’s Jeffrey Wirth co-directed this piece, produced by Balestra’s Christina DiPasquale, to provide a voice to the 50,000 youth incarcerated in America’s juvenile justice system. The b-roll and 12 interviewees were filmed at the Youth First State Strategy Roundtable 2016 in Richmond. The team scouted locations around the conference, set up a room where lawyers, organizers and youth would feel comfortable talking about their work, and captured their positive vision of youth justice that doesn't rely on incarceration. NowThis shared a short version of the video on social media and got more than 350,000 views in the first week it had posted. This Friday, the Larned Juvenile Correctional Center in Kansas will close after 45 years of operation. The closure of this medium/high-security facility, designed to imprison 170 youth, marks a significant victory for Kansans United for Youth Justice, part of the Youth First Initiative. The tireless work of Youth First, a growing national constellation of organizations from Kansas, Virginia, Connecticut, Wisconsin, and New Jersey that launched in 2015 with a goal of closing youth prisons, has already lead to commitments to close five facilities in four states. Many more youth prisons are under scrutiny from state and federal authorities. Today’s political climate underscores the importance of Youth First’s work. While youth incarceration has been on the decline for over a decade, due in part to the efforts of Youth First and myriad other juvenile justice advocates, the Trump administration and Attorney General Jeff Sessions have signaled that the youth prison complex may see renewed vigor. 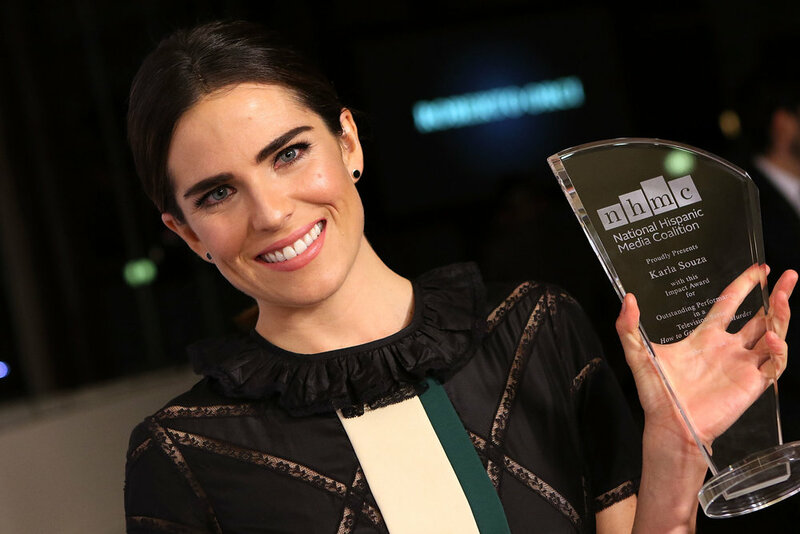 Last night, the National Hispanic Media Coalition honored local Latinos for their leadership and contributions to the community at its 2nd annual New York Impact Awards Reception at Google headquarters in New York City. 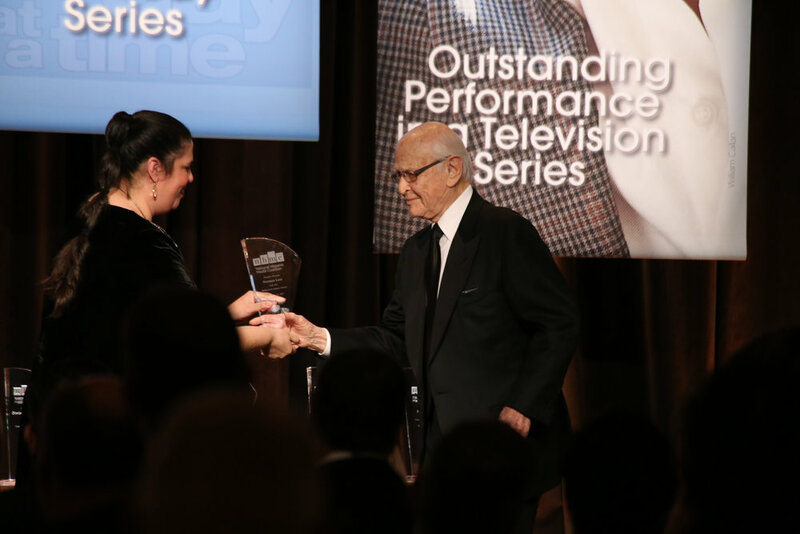 Honorees included Fox News Latino; Fox 5 reporter Jessica Formoso; Telemundo 47 anchor Jorge Ramos; and LatinoJustice PRLDEF. NHMC staff from the Pasadena and DC offices joined together with board members, Balestra Media's Christina DiPasquale and our Google hosts for the evening. Every once in awhile our work humbles us to the core. After 14 years of detention without charge, Mohamedou Ould Slahi was released from the military detention facility in Guantanamo Bay, Cuba. Leading up to this moment Balestra Media worked closely with the ACLU to create an escalating multi-medium campaign advocating for the release of Slahi. The campaign braided traditional earned media relations with digital petition engagement and creative strategies to elevate Mohamedou’s voice and build his supporter base while the GITMO periodic review board considered Mohamedou for release. Balestra Media worked with Mohamedou’s brother, Yahdih Slahi to develop a petition asking then Defense Secretary Ashe Carter to consider freedom for Mohamedou and combined in-person petition events with an escalating digital publishing calendar that posted daily graphics inspired by the journal entries of Mohamedou Slahi. Mohamedou was released this morning by way of an early morning flight from Guantanamo Bay to Mauritania where his family resides. Before even arriving home Mohamedou told his lawyer Nancy Hollander he hoped to one day tour Europe promoting his New York Times best-selling memoir, Guantanamo Diary. It’s humbling to know that could soon be a reality.